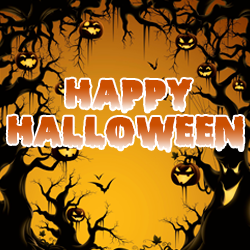 Happy Halloween from the team here at Bell Flow Systems. We hope you have a spook-tacular day! 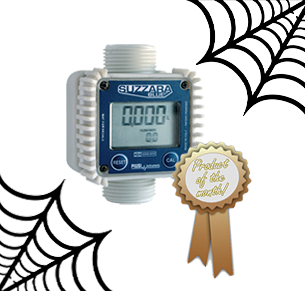 The Piusi K24 digital turbine flow meter is suitable for Adblue or water dispensing. The IP65 protection housing is constructed in polypropylene and stainless steel providing endurance for use in every condition. Integrated on the K24 turbine meter is an LCD display with a 5 digit partial total from 0.1 to 99999. Shown on the display is the flow rate indication and resettable total. The display can be easily rotated in 4 different positions making the screen readable from any angle. Although available with an average battery life of 18-36 month, the batteries can easily be replaced with little effort. The configuration options include single channel and reed switch. Models benefit from a high accuracy of +/- 1%, when calibrated and a flow range of 6-100 L/min. 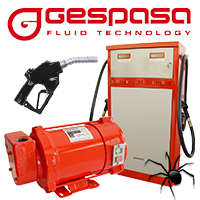 Did you know that we are the UK approved distributor for Gespasa? Gespasa are a highly regarded manufacturer based in Spain. They have an extensive catalog with vast solutions to transfer, filter, measure and control fuels, lubricants, greases and Urea. Products such as fuel pumps, fuel dispensers, nozzles and fuel management system controllers. Last month our technical sales team were invited over to Bialystok in Poland for product training on the Plum Mac R6 telemetry system – an intelligent readout and data logger. The Mac R6 is easily programmed with a secure cloud based platform or a mobile app which can be downloaded on all Android phones. When connected to these, the user is able to download and view all of the information from the device including historical data and graphs, allowing information to be accessed securely from any remote location 24/7. 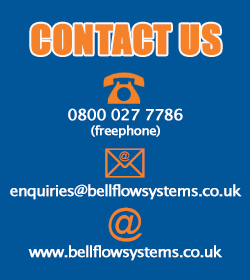 At Bell Flow Systems, we pride ourselves on product expertise, when offered product training we believe it can only enhance our existing knowledge. Over the course of two days, the specialised training covered the production and manufacturing of the Mac R6, including a guided tour of the company factory where other Plum products are also produced. Plum have a world class calibration facility in house which means all testing is done on site. The team undertook training on using the online eWebtel software and how to create user profiles and set up measuring points. They were also shown how to programme the Mac R6 with the OptoBTEx optical reader and the mobile app specifically created for android phones. As well as extensive product training, the sales team also experienced the local beer and traditional polish cuisine including Pierogi – dumplings packed with a sweet or savoury filling, yum! 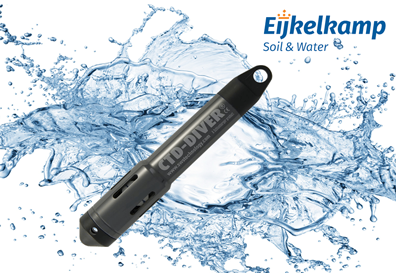 The CTD-Diver instrument available from Bell Flow Systems offers a way of measuring and registering groundwater level, groundwater temperature and groundwater conductivity with a single instrument, all by using a device that fits into a one-inch probe! Monitoring groundwater levels and saltwater intrusion, injected wastewater, or contamination from chemical discharges and landfill sites used to be a labour intensive, difficult job. This is no longer the case, however, due to the introduction of the CTD-Diver. The CTD-Diver is an accurate measuring instrument with 3 sensors: a pressure transducer for determining water level, a temperature sensor for measuring temperature, and a sensor for determining conductivity. Conductivity is especially important for indicating pollutants in groundwater. The CTD-Diver is available in three standard pressure measuring ranges (10, 50 and 100-metre heads) conductivity measuring range 0 to 120 mS/cm). Another renowned supplier added to our growing portfolio is Itron. 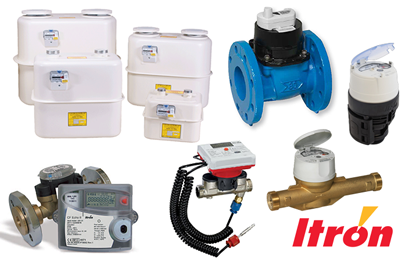 We are proud to be supplying an extensive range of water meters, gas meters and heat meters from Itron. Itron’s water meter range includes the Aquadis+; a rotary piston water meter, Woltex Woltmann water meters and the Flostar; a single-jet water meter. 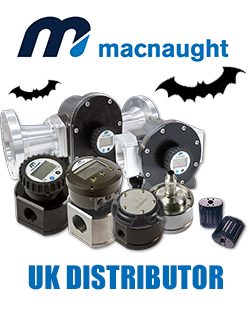 All water meters benefit from long term high accuracy and are OIML, MID and WRAS Approved. 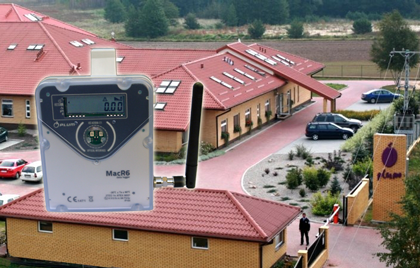 The IP68 rated body makes Itron water meters an ideal choice for usage in harsh environments both indoor and outdoor. The gas meter range consists of MID approved diaphragm gas meters designed for natural gas, propane and butane. All Itron gas meters are fireproof to EN1359 and OFGEM approved, providing high accuracy at low flow rates with no maintenance required. Itron offer a wide range of heat meters suitable for various applications including the CF ECHO II; an ultrasonic compact heat meter with on-board electronic signal processing and the CF Ultra Maxx V; a compact mounted meter designed specifically for the monitoring of heat energy consumption in residential applications. Both heat meters are MID Class 2 approved and compliant with requirements of the RHI scheme. Copyright © 2016 Bell Flow Systems Ltd, All rights reserved. 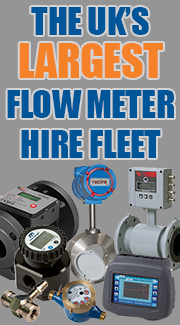 Bell Flow Systems is a leading UK supplier and manufacturer of flow meters and instrumentation for domestic, commercial and industrial applications, heating oil equipment and fuel transfer products. With UK stocks and next working day delivery we aim to offer outstanding service at unbeatable prices. Part of the Flowmax Group.